Lemongrass also called ‘fever grass’, is a perennial plant with thin, linear leaves and is indigenous to many Asian countries. As the name implies, lemongrass smells like lemon, but it tastes milder and sweeter. This herb is used in various Asian cuisines to accord a tangy lemon-like flavor to a wide array of meat, poultry, and seafood preparations. 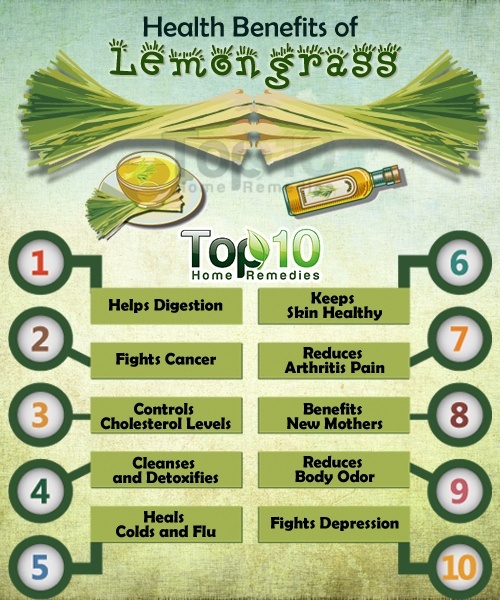 Besides its culinary usage, lemongrass has also gained popularity as a natural preservative and bug repellant. Given its zesty, refreshing aroma, it is also a commonly featured ingredient in the manufacture of a number of perfumes, soaps, and cosmetics. This fragrant healer also finds much use in aromatherapy, particularly to combat stress and uplift mood. Every part of the plant from its leaves to its stems and bulb possesses health-promoting properties that can be incorporated in various treatments. Proponents claim that it has beneficial medicinal properties including analgesic, anti-inflammatory, antidepressant, antipyretic, antiseptic, antibacterial, antifungal, astringent, carminative, diuretic, febrifuge, galactagogue, insecticidal, sedative, and anticancer properties. The existing scientific research to support these claims will be evaluated throughout this article. Although fresh and dried lemongrass, both are readily available in the grocery store or market, you can also get this herb in the form of essential oil and as a food supplement. It is, however, lemongrass tea that offers the most convenient way to reap the nutritional potential of this herb in a way that is easy on our digestive system. No wonder then that this steaming brew has emerged as a widely preferred home remedy for a myriad of health issues. You can easily fix yourself a cup by steeping 1 teaspoon of fresh or dried lemongrass in a cup of hot water for about 10 minutes. Strain, add any desired sweetener, and your tea is ready. If that seems like too much work, you always have the option of buying ready-to-use tea bags to keep your regular “tea-tox” regime going. Being a treasure trove of numerous essential nutrients, lemongrass has been widely acknowledged as a therapeutic agent in alternative or complementary medicine. In fact, it is a bona fide favorite within the realm of Ayurveda to treat a wide range of ailments. To sum up, you can tap these health benefits of lemongrass to the best of their potential by simply drinking 1 to 2 cups of lemongrass tea daily. However, do not consume it if you are pregnant or taking any medications. Like many herbal remedies, more research needs to be completed in order to evaluate the effectiveness of lemongrass in treating some conditions. Be sure to consult with your health care provider before starting any herbal supplements. Here are 10 reasons to try this herb. Although additional human studies are warranted, lemongrass may have the potential to reduce digestive health problems such as indigestion, constipation, heartburn, diarrhea, bloating, flatulence, and cramps. For a healthy digestive tract, drink lemongrass tea on a regular basis. Note: Lemongrass tea, however, is not recommended for pregnant mothers or small children. Simply drink a cup of lemongrass tea or use it as a seasoning when cooking to help improve your heart health and reduce your blood pressure. Regular consumption of lemongrass tea helps cleanse and detoxify the body. 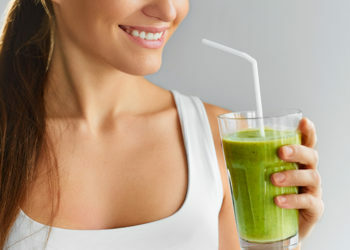 A healthy body relies on organs such as the kidneys and liver to remove waste products and impurities from your system. Lemongrass tea can work as a trusted aid to these organs and supports their functioning to keep it at the optimal level. The mild diuretic nature of lemongrass helps remove toxins and urinary waste from the body by increasing the frequency and quantity of urination. (5) Urination helps clean out waste products through the kidneys. Boil a few fresh strands of lemongrass, two or three cloves, a small piece of cinnamon stick, and 1 teaspoon of turmeric powder in one cup of milk. Strain and drink this milk when it cools down. Research conducted at the Ben-Gurion University of the Negev in Israel has revealed that lemongrass tea can help fight cancer in the laboratory setting. Simply put, it caused the cancer cells to commit suicide. While additional studies are needed to determine if these results hold up in human experiments, cancer patients in Israel are encouraged to take fresh lemongrass tea while undergoing radiation or chemotherapy treatments in order to expedite the healing process nonetheless. Again, further studies with human participants need to be conducted to determine whether or not these beneficial results are confined to the laboratory setting only. Plus, lemongrass helps to alleviate muscle spasms or sprains by relaxing the muscles, in turn reducing the pain-related symptoms. Lemongrass has been studied as a natural remedy for dandruff. A study published in 2015 found that a hair tonic containing lemongrass oil helped reduce dandruff more effectively than a tonic without the herb. (10) Results were best when a tonic containing 10% lemongrass oil was applied twice per day over the course of two weeks. Thus, if you suffer from unwanted dandruff, consider giving this natural remedy a try. When applying topically, it is recommended that you dilute the essential oil and start with a small area of skin first to make sure you do not have an allergic reaction. As a result, lemongrass in combination with other lifestyle therapies can help relieve anxiety, boost self-esteem, uplift spirits, and increase confidence while improving mental strength. 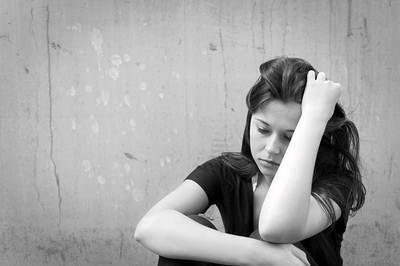 Drink a cup of lemongrass tea whenever you feel depressed or are in a low mood. The tea will help dispel your depressive lull to some extent. Most people find that lemongrass is mild enough to not cause skin irritation or exacerbate skin allergies. It is, nevertheless, always a good idea to do a patch test by applying lemongrass on a small area of skin to learn your own individual response. Lemongrass is also beneficial for your skin. It can help alleviate various skin issues, from aging skin to fungal infections. Due to its antibacterial, antiseptic, and antifungal properties, lemongrass helps limit bacterial or microbial growth on the skin. (1) This, in turn, helps keep your skin free of infections and lessens issues caused by bacterial or fungal infections. Dilute lemongrass oil with water or another base, such as coconut oil, before use. Mix 1/2 cup of freshly sliced lemongrass in 1 cup of coconut oil and heat it for 5 minutes. Remove from heat and allow it to cool before applying it to your skin. C AE, M B, V E- J. Antimicrobial activity, cytotoxicity and chemical analysis of lemongrass essential oil (Cymbopogon flexuosus) and pure citral. Applied Microbiology and Biotechnology. https://www.ncbi.nlm.nih.gov/pubmed/27562470?dopt=Abstract. Published November 2016. Elson CE, Underbakke GL, Hanson P, Shrago E, Weinberg RH, Qureshi AA. Impact of lemongrass oil, an essential oil, on serum cholesterol. Lipids. https://www.ncbi.nlm.nih.gov/pubmed/2586227. Published August 1989. Cheel J, Theoduloz C, Rodríguez J, Schmeda-Hirschmann G. Free radical scavengers and antioxidants from Lemongrass (Cymbopogon citratus (DC.) Stapf.). Journal of Agricultural and Food Chemistry. https://www.ncbi.nlm.nih.gov/pubmed/15796587?dopt=Abstract. Published April 6, 2005. Binia A, Jaeger J, Hu Y, Singh A, Zimmermann D. Daily potassium intake and sodium-to-potassium ratio in the reduction of blood pressure: a meta-analysis of randomized controlled trials. Journal Of Hypertension. https://www.ncbi.nlm.nih.gov/pubmed/26039623. Published August 2015. Carbajal D, Casaco A, Arruzazabala L, Gonzalez R, Tolon Z. Pharmacological study of Cymbopogon citratus leaves. Journal of Ethnopharmacology. https://www.ncbi.nlm.nih.gov/pubmed/2716341. Published February 1989. Carr AC, Maggini S. Vitamin C and Immune Function. Nutrients. https://www.ncbi.nlm.nih.gov/pubmed/29099763. Published November 3, 2017. Viana GS, Vale TG, Pinho RS, Matos FJ. Antinociceptive effect of the essential oil from Cymbopogon citratus in mice. Journal of Ethnopharmacology. https://www.ncbi.nlm.nih.gov/pubmed/10837994?dopt=Abstrac. Published June 2000. Dudai N, Weinstein Y, Krup M, Rabinski T, Ofir R. Citral is a new inducer of caspase-3 in tumor cell lines. Planta Medica. https://www.ncbi.nlm.nih.gov/pubmed/15931590. Published May 2005. Chaouki W, Leger DY, Liagre B, Hmamouchi M. Citral inhibits cell proliferation and induces apoptosis and cell cycle arrest in MCF‐7 cells. Fundamental & Clinical Pharmacology. https://onlinelibrary.wiley.com/doi/full/10.1111/j.1472-8206.2009.00738.x. Published July 28, 2009. Chaisripipat W, Lourith N, Kanlayavattanakul M. Anti-dandruff Hair Tonic Containing Lemongrass (Cymbopogon flexuosus) Oil. Forschende Komplementärmedizin. https://www.ncbi.nlm.nih.gov/pubmed/26566122?dopt=Abstract. Published 2015. Costa CA, Kohn DO, de VM, Gargano AC, Flório JC, Costa M. The GABAergic system contributes to the anxiolytic-like effect of essential oil from Cymbopogon citratus (lemongrass). Journal of Ethnopharmacology. https://www.ncbi.nlm.nih.gov/pubmed/21767622?dopt=Abstract. Published September 1, 2011. Lorenzetti BB, Souza GE, Sarti SJ, Santos D, Ferreira SH. Myrcene mimics the peripheral analgesic activity of lemongrass tea. Journal of Ethnopharmacology. https://www.ncbi.nlm.nih.gov/pubmed/1753786?dopt=Abstract. Published August 1991. SAME S, B M-K, R LG. An overview about oxidation in clinical practice of skin aging. Anais Brasileiros de Dermatologia. https://www.ncbi.nlm.nih.gov/pubmed/?term=An overview about oxidation in clinical practice of skin aging. Published 2017. Basic Report: 11972, Lemon grass (citronella), raw . USDA Food Composition Databases. https://ndb.nal.usda.gov/ndb/foods/show/3580. Published April 2018.
yeah! here in the Philippines we always educate people about health consciousness specifically thru this herb(lemongrass) most especially to my members in an organization.i have many lemongrass plantation in my area too. yeah!its good for our health,i have my own lemongrass plantation in my area and i do health awareness program thru my organization regarding this power herb. Delicious when added with Lipton Tea. it realy awesome . all in one medicine. thank you god . its miracle. icame to my home after two days continous travlling. today only i got the lemon grass from my friend, let me start. A wonderful plant given to us by our God. If only we knew all the health benefits of all the plants on earth we would never get sick. Now we have the knowledge don’t ignore this amazing naturally occurring plant. Have used it for long and I benefited a lot. it realy great . across the board pharmaceutical. much obliged to you god . its supernatural occurrence. icame to my home following two days continous travlling. Lemon grass tea, good for me. it really great. across the board pharmaceutical. much obliged to you god . its supernatural occurrence. I came to my home following two days continuous traveling. Thanks for this detailed enlightenment on the use of lemongrass. I have been suing it for sometime now to reduce BP and pain. It is really working. My waist pain has reduced drastically, my BP has normalised. Thank God for this wonderful creation.